Laminate flooring looks better, performs better, and feels better underfoot than ever before. It's even being found as a type of premium flooring in high-end homes. Laminate has grown significantly in popularity, perhaps because it may be easier to install and maintain than more traditional surfaces such as hardwood flooring. Laminate flooring is quite versatile and durable. and many textures and styles of flooring can be replicated. 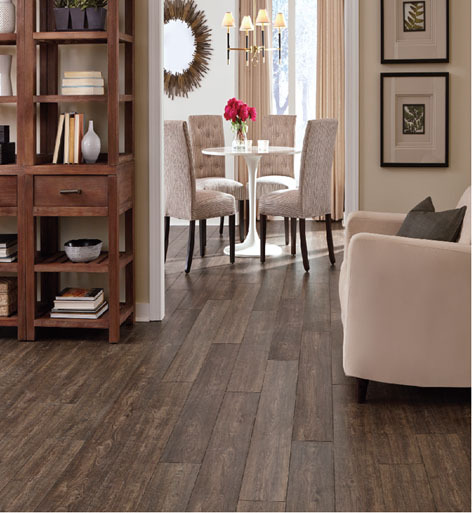 Laminate is an affordable, low maintenance alternative to hardwood.